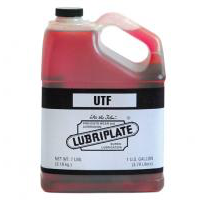 LUBRIPLATE UTF was developed for and has been upgraded to meet the increasing demands for a single multi-functional transmission, hydraulic, and wet brake fluid for the new generation of larger tractors plus those already in the field. It is also designed for the hydraulic-transmission system of self propelled implements such as combines, cotton pickers, hay cubers, windrowers, corn pickers, as well as towed types of related equipment and equipment with the now prominent hydrostatic drives. 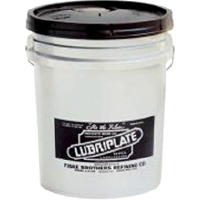 LUBRIPLATE UTF is an approved product for Caterpillar TO-2 Fluid. 1. Lubricates the transmission, differential and final drive gears. 2. Provides the fluid for power brakes, power steering and power take-off units. 1. The proper flow characteristics at both low and high temperatures. 2. High level of shear stability. 3. Proper or controlled seal swell characteristics. 4. Proper control of foaming. 5. High level of film strength and proper amount of controlled chemical activity for oxidation stability. 6. Improved water tolerance and filterability. 8. Anti-rust and corrosion protection.